Where can I begin? Star Wars has been a huge part of my life since I was born. It was my childhood and has stayed with me throughout my life. When I was younger (4,5) I watched the original trilogy over and over again. I have read 26 gigs worth of star wars comics and novels. Star Wars is apart of me and is one of my passions. I have played numerous other MMO's such as Lord of the Rings online, dungeons and dragons online, dc universe online,star wars galaxies, and warhammer online. I wish to be a friendly and loyal member of the guild. I plan to be extremely active and always looking to roleplay and have a blast with guildmates. I love the passions for star wars in this guild and I am willing to contribute to that. 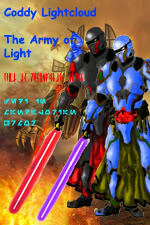 Army of Light is a great fit for me because it is a roleplaying guild that shares my passion for star wars. I want to be immersed in the game and have a great time and I will fit right in with this guild. I expect that the guild will share my star wars passion. I want to play as much as possible with guildmates. I want to roleplay and become immersed in the world with the guild. I am willing to do all content in this game - PVE and PVP. I have never role played before. I think it is fun to be truly immersed in the world and that is what I wish to do in TOR roleplaying. I can benefit the guild by helping out everybody and being very friendly. I want to make friends in this guild. In my previous guilds I have donated to the guild bank and I understand that when you help the guild it helps us as a whole. I define a quality member by someone who is faithful to the guild, helpful and friendly to others, someone who is passionate about the game, someone who makes the experience better for others. I found the Army of Light in the TOR forums. I have visited the website and chat room on multiple occasions, I also read the mission statement and rules of conduct. Absolutely, I do not want to cause the guild any problems. Absolutely, I am willing to be loyal to this guild and will not let my guildmates down. Respect - Respect is treating a person as an equal and as you yourself would want to be treated. Honor - Honor is fulfilling yourself as a quality member of the guild and keeping promises. Loyalty - I would never betray my soon to be friends in this guild or disrespect guild leaders. Maturity - I would never act immature to ruin the experience for others. This is especially important in a role playing guild where immersion is a key factor. I believe I possess all of these qualities. I have helped people in previous MMO's who clearly did not know much about the game. I always help my friends through their problems. I find it very fulfilling to help people even if i do not know them yet. I would send one group member to distract the Sith. He would alert them and then get away either by foot or vehicle if it is available. They would chase him away taking a lot of their numbers. This would leave the communications relay open for us to destroy. If there were more Sith left behind, we would have to deal with them. He has strong morals and would be considered light sight alignment in game. He is very logical and very good with technology. He enjoys modifying his rifles and building shield generators. He does not have the stereotypical trooper personality but he is very courageous and has strong integrity. He will do anything he can to help the republic and its citizens. When it comes to the people closest to him, he is willing to do anything to keep them safe. He is passionate about the republic and wants nothing more then to end the tyranny of the empire. He puts his friends before himself which is why he is always in the fray of combat taking blaster bolts. He is not a very good speaker and not very inspirational, but he always has a logical answer to a scenario. -Character Physical/Mental Features: Slightly shorter then most troopers, standing at 5'8. He was often joked around with by his peers due to his logical thinking and being more intelligent and less shoot first ask questions later. He is not a leader to inspire his group, but he helps them by providing logical ways to get the task done. -Character Biography: Jerran was born in a colony on Ord Mantell. Jerran's hobbies were building gadgets from spare parts. He considered the city to be his home. His father was in the republic army and his mother was a politician. They both moved from Corellia to the colony on Ord Mantell because Jerran's father was drafted to fight against the separatists. Jerran's father often inspired Jerran and tought him the good of the republic and how crucial it was to stop separatists and to end the empire. Jerran's father was killed by separatist forces in a battle. From that day forward, Jerran swore to become the best trooper he could be in his fathers name. His mother moved to coruscant and he joined the republic military. Hope you get accepted, would like to see this guild becoming more of an whole army. Thanks man! If i'm accepted, I'l look forward to playing with my fellow trooper guildies! 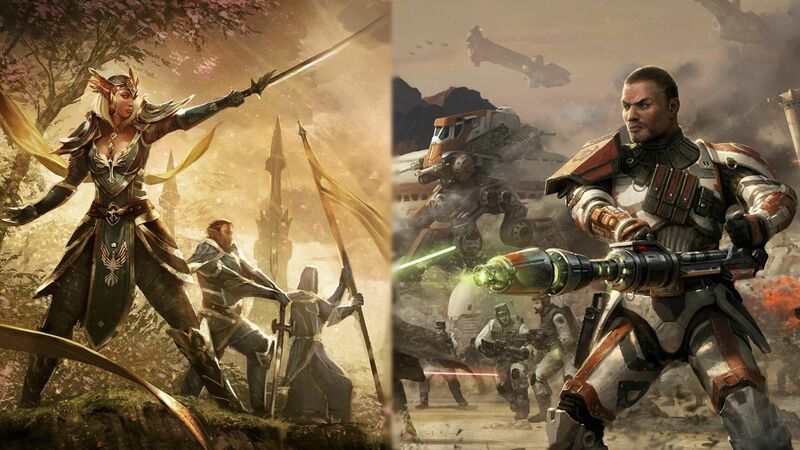 First of all we'd like to thank you for your interest in the Army of Light and your request to start your endeavor in Star Wars: The Old Republic with us. The Recruitment Council will review your application and contact you back roughly within 48-72 hours. Wooohooo, another trooper; welcome to the AL. Welcome, new Trooper! I am Gunney Sergeant Cormac Darjay, and I look forward to meeting you, fellow Trooper! Good luck! Thanks for the support guys! Can't wait to blast some sith Gunnery Sergeant Darjay and Staff Sargeant Vek! Congrats! Though you may want to change your forum name, as it is a tad bit confusing. Well we will be right beside you doing the same! I admire your plucky optimism, good luck. Very nice app. Good to have you aboard, mate. Thanks for everyone who is wishing me luck. All of you are really great! Yes we are! And hopefully when you get accepted you descend into greatness with us. With that successfully completed, you will report to the Trooper branch leader (General Bren Durron) for general class branch training and to Generals Durron or Vyynn Randos for Squadron/Platoon assignment. Squadrons will act as your home within your home and help acclimate you to guild life and try to answer any questions you may have. Congratulations and Welcome to the guild. Congrats and welcome to the AL. Awesome! thanks guys, i will get these tasks done ASAP! Welcome to the guild and congratulations on your acceptance. I look forward to getting to know you further and working with you. If you have any questions, don't hesitate to ask.